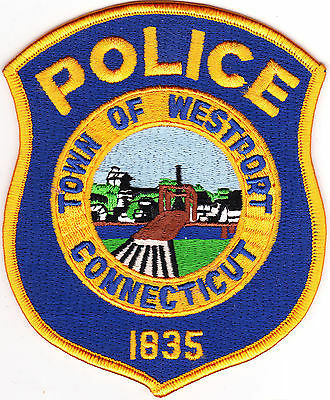 A pension dispute involving Westport’s Police Department has drawn national attention. The Economic Policy Institute — a left-leaning think tank — is focusing on a dispute between the police union (AFSCME Local 2080) and the town. Negotiations have gone to binding arbitration. A decision may come this fall. “Why would Westport mess with a system that works?” asks economist Monique Morrissey on the EPI’s Working Economics Blog. “The police department is tiny and the town can easily afford the benefits. In the 2015-2016 fiscal year, spending on police pensions amounted to just 1.2 percent of the town’s revenues, so even drastic benefit cuts wouldn’t noticeably affect anyone’s tax bill. Morrissey notes that Westport police officers do not receive Social Security, nor is overtime factored into their final pensions. She frames efforts to reduce Westport police pensions as part of “an ideological campaign” to get rid of pensions in favor of riskier 401(k)-style savings plans. She says that kind of campaign could backfire as municipalities start to restore benefits in an effort to prevent losing experienced officers. “The 64 members of the Westport police department, who signed on for what they thought was a career of public service that would be rewarded with a secure retirement, may still pay a price, unless the citizens of Westport realize that that the police force they have come to rely on may be torn apart by shortsighted pension ‘reforms,’” Morrissey writes. Click here to read Morrissey’s full story. This entry was posted in Economy, Local politics, Police and tagged AFSCME Local 2080, Economic Policy Institute, Monique Morrissey, Westport Police Department. Bookmark the permalink. Just another assault on the working man and women. It’s par for the course these days because, you know, it’s the leftist union’s causing all the problems we have in n this country and town. There were a lot more problems before the unions were formed. Ever hear of sweatshops? My grandmother became a union organizer after the Triangle Shirtwaist fire. Look at what has happened in the Far East sweatshops where they don’t have unions, e.g., collapsed buildings, fires, etc. Or would you like to go back to such tragedies? This is a travesty if their pensions go away. We love our force in blue, they do an awesome job. People do not realize the drug trafficing that goes thru Westport’s highways and local roads. Most of it is without incident because of what our force does. Our schools need the help of this highly trained force, not inexperienced officers, which is what we will get when they all leave. The new medical dispensary I am sure will favor police needs. Our Westport Police that is a small but awesome team are a vital part of the safety and security we feel in this town. PLEASE DO NOT MESS IT UP!!! YOU GET WHAT YOU PAY FOR IN LIFE!!! I suggest all interested in this issue learn the facts. Many years ago, Westport made a policy decision to try to shift Town employees, at least new ones, to defined contribution plans, rather than continue defined benefit plans. People can have different views on that judgment, as well as whether or not the terms of the existing defined benefit plan were overly generous, fair or overly frugal. It is also important to compliment the Bd. of Sel. and the BoF for their funding policy for Westport’s defined benefit pension obligations. While the State of CT sinks under the weight of pension and medical plan costs for state workers, Westport with bipartisan agreement decided to not let this destroy ourntown. Pension plan costs are very serious and skyrocket over a period of time. Sound decisions were made to adjust the plans. As Dan wrote, this is a left (very left) leaning organization that would have no problem adding significant costs to a Westport’s budget. They would never think of our seniors that would face fast rising property taxes or never worry about the effect on the education budget in westport if pension costs would continue to rise. As they say—just pay more Westport. As costs rise, something has to be cut or property taxes increase. As we have watched the state cut education funds to Westport and Pilot payments, we have also witnesses the education budget scrutinized. Nothing is for free. Thank you Jim Marpe and Board of Finance (made up of both Democrats and Republicans), for getting ahead of this issue. Facts-the next CT biennial budget deficit is projected at $4.5 BILLION. Where do you think the state will look for help? Will property values fall more? Stay tuned. The police union was not arguing to keep the pensions forever. They offered to change to the deferred contribution plan for all new hires. All that was asked for was to let the current employees keep what they had originally signed up for and deserved. The town has said, yes we can pay and afford it but they just don’t want to. Political bull!! Towns get the municipal employees they deserve, and pension plans are a big draw for top rate people. Marpe et al would not be trying to change the pension plan if such change did not result in big “savings” on the backs of the folks on which we rich, comfortable, spoiled Westporters depend. Leave the damned pensions as they are…they have attracted fine police, fire and other “public servants” ; the attraction of which will be put in jeopordy by slash a cut dullards. People on the right like to talk about these issues like revenues and what we do with them has nothing to do with the “burden” of pensions. The pensions were solvent until we turned them into profit generators for the financial class. The pensions were solvent when governments could get projects done for reasonable costs without excessive profit taking and RFP gaming by contractors. The pensions were solvent until we started letting the financial class push creative accounting on our government budgets. Westport taxes are very low, we can find other ways to address property tax issues for seniors (and if we were doing pensions, retirement funding and social security right this wouldn’t even be an issue). I wouldn’t say the same for state taxes, the top line rates should be high enough to fund responsible spending on the benefits we need. Instead we have corporations gaming the tax break system and refusing to carry their weight, again at the direction of the financial class making myopic quarterly results and “fiduciary duty to shareholders” as their excuse for extracting wealth and giving nothing back. Let’s not forget who is profiting from those systems and where they live – here (though they probably aren’t here on this blog comment thread).